You are here: Home / News / How much food do you need for your Event? Catering industry, among a very competitive landscape is considered about $8 billion dollar revenue over a year. These days the demand for catering is getting higher every day and it is expected to increase in the next five years following the recession. According to Market Research website, the increasing focus on quality and taste will only heighten as the world economy strengthens and the middle class generates more disposable income. Catering companies must meet the expectations of a discerning customer base, and a growing senior demographic as well. Catering is a service that is most popularly seen during wedding exceptions, but is also common place for business meetings, Exhibition Gala dinners, incentive programs and trade shows. It is intended to service various types of venues giving you one less thing to plan for. This industry in considered to be in the mature life of its life cycle and it is expected to increase into a 1.8% growth in next years. 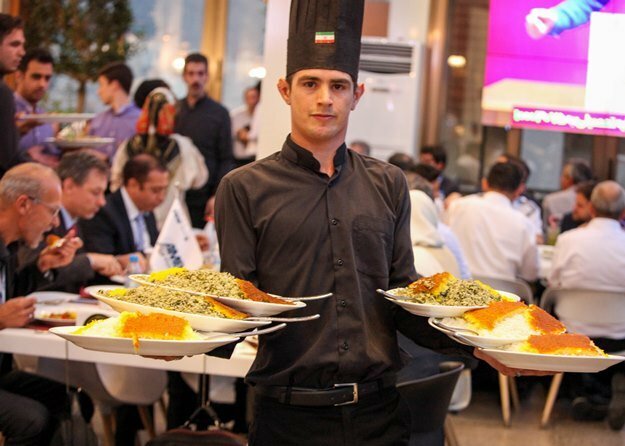 to find our more about Iran MICE catering services please visit our last Gala dinner event for AMB 2018 trade show.